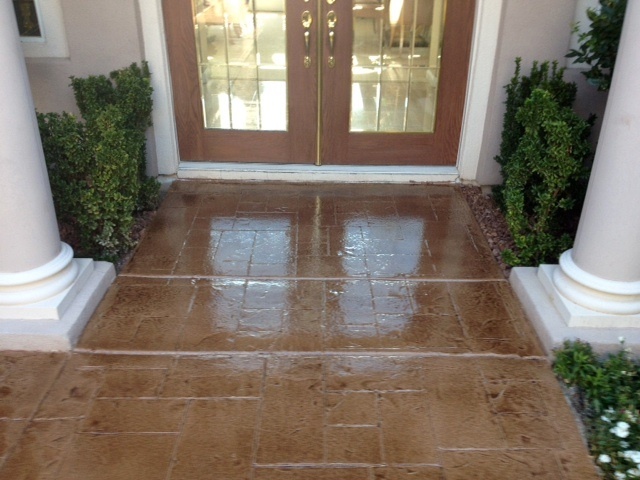 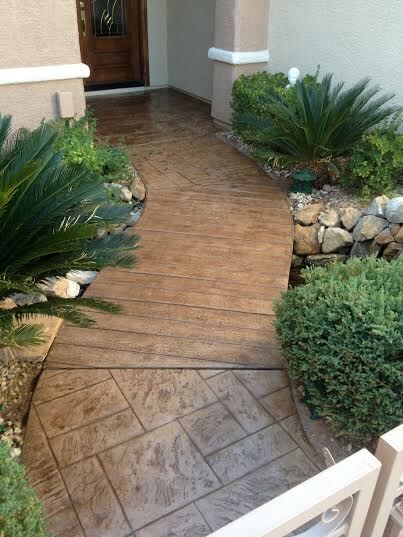 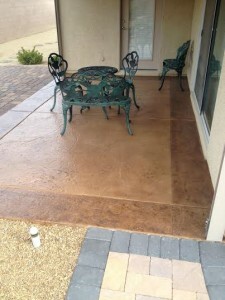 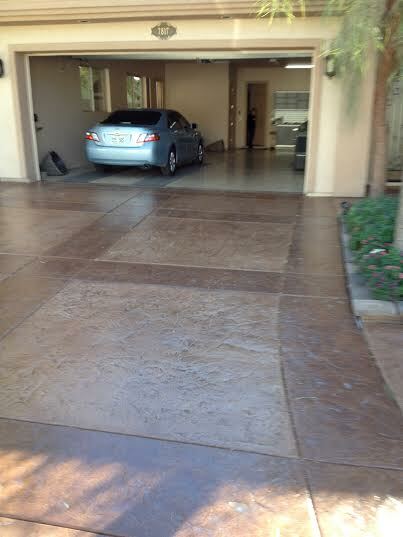 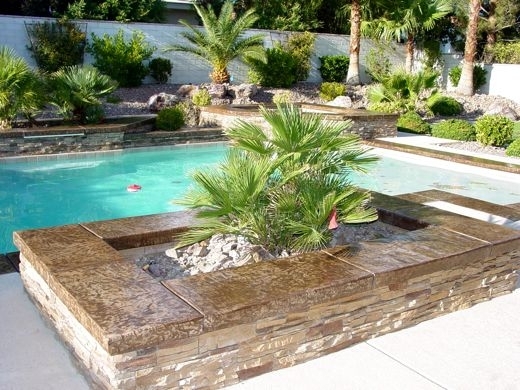 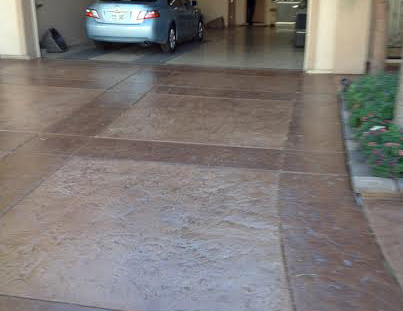 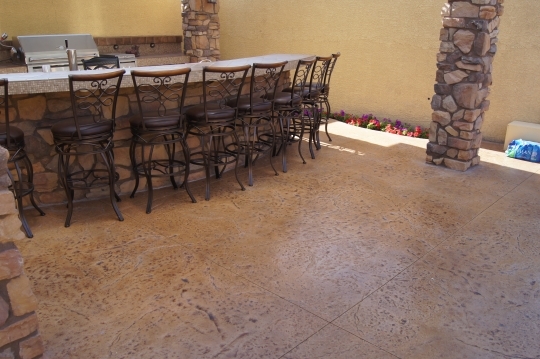 A stamped concrete surface gives you the look and texture of lovely natural stone. 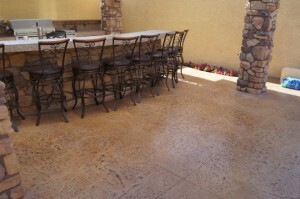 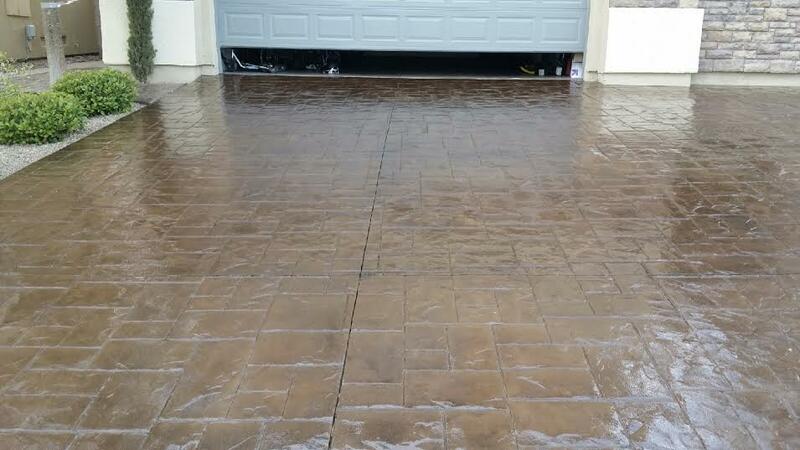 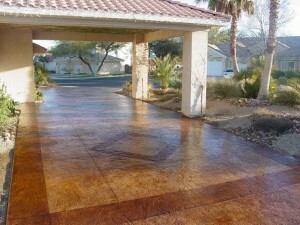 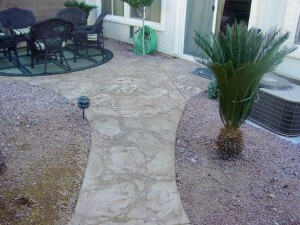 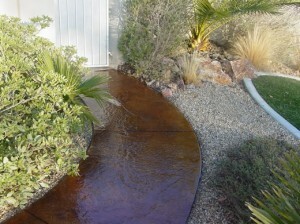 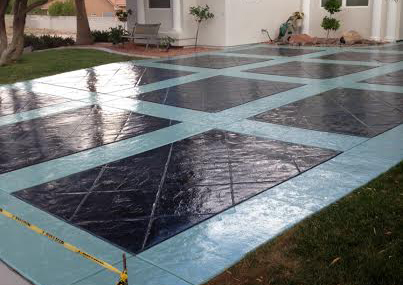 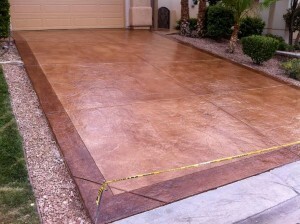 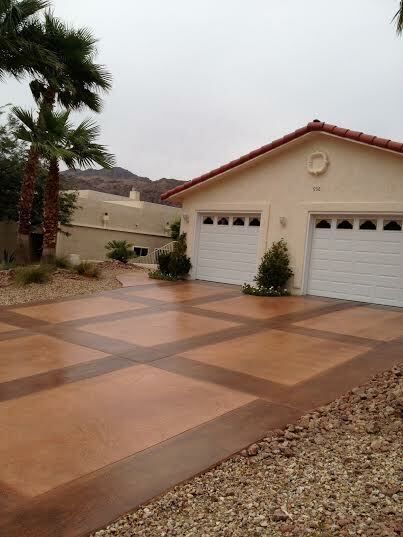 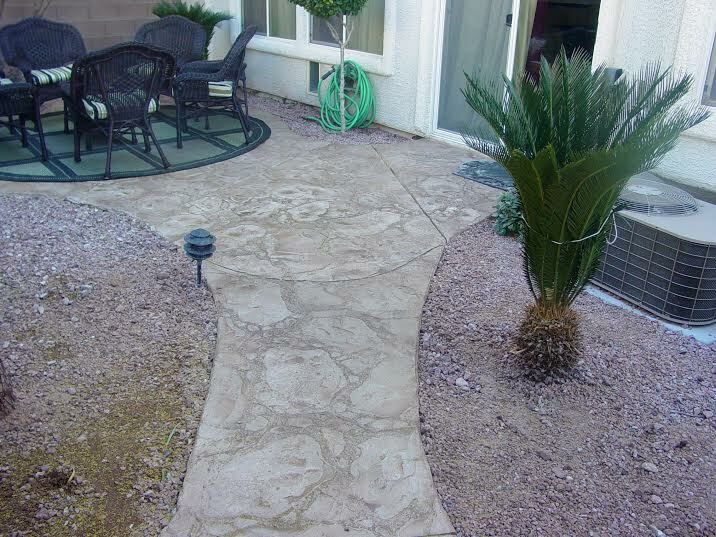 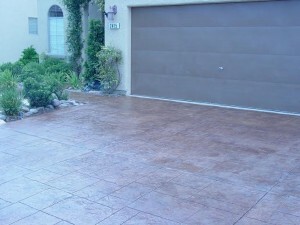 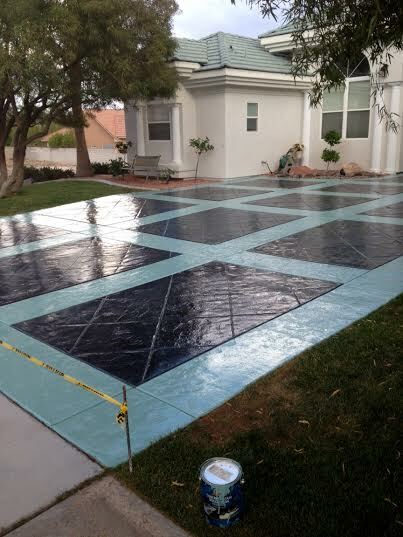 Stamped concrete patterns are often designed to simulate the look of flagstone, brick, cobblestone, wood and slate. 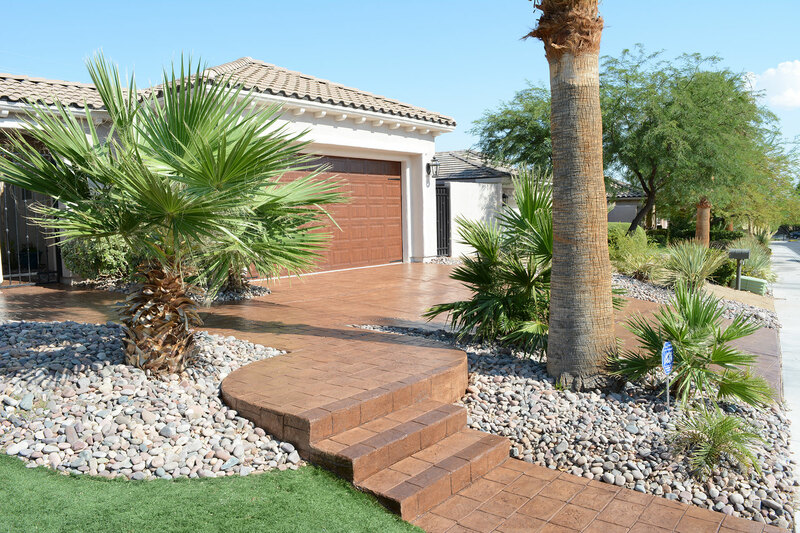 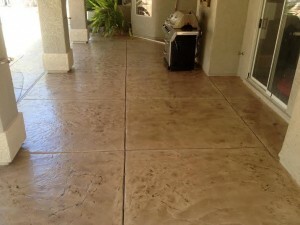 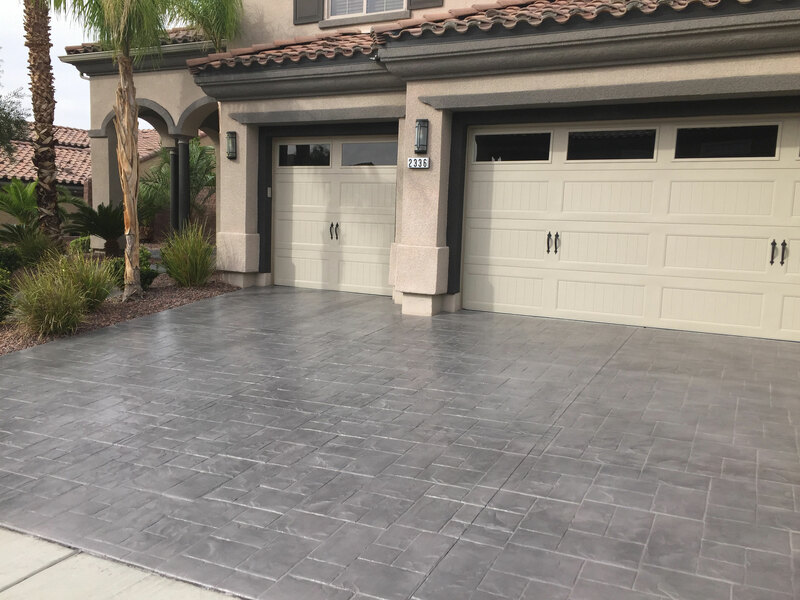 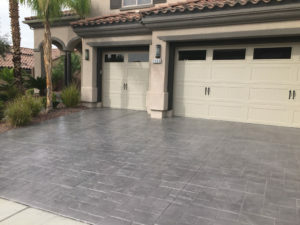 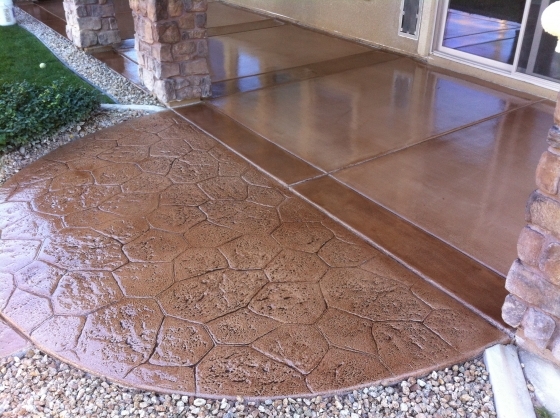 These patterns can be achieved by one of two ways: 1) pouring a new layer of concrete, or 2) applying a stamped concrete overlay over an existing grey surface. 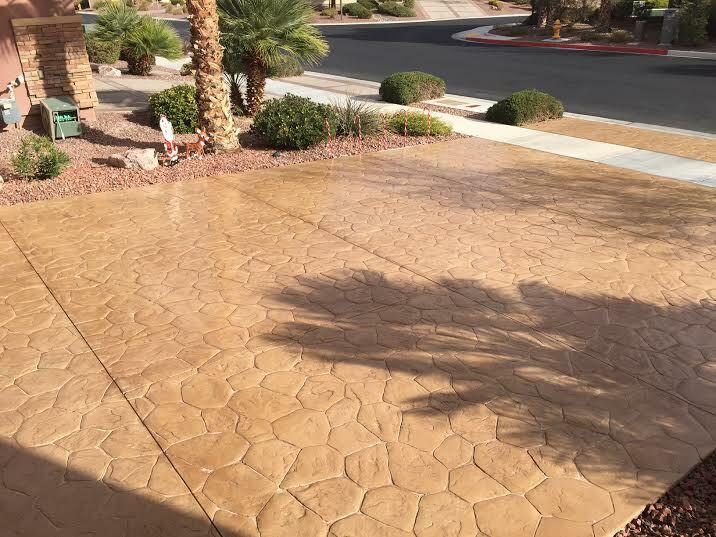 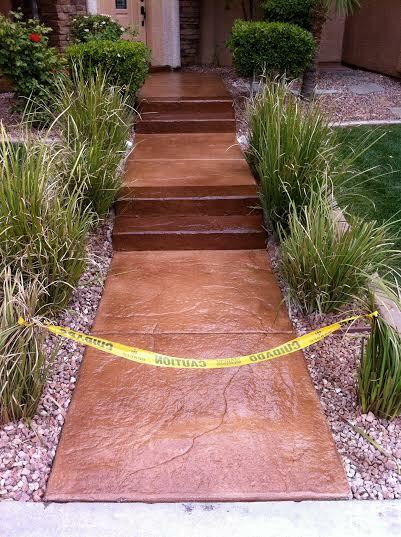 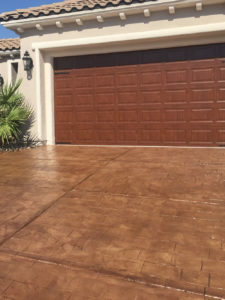 The Concrete Texturing team can create a customized stamped surface for your home or business, or restore existing stamped surfaces that need to be recolored and resealed. 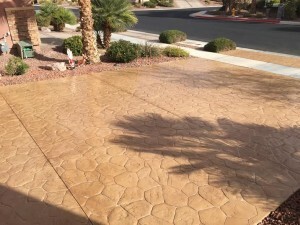 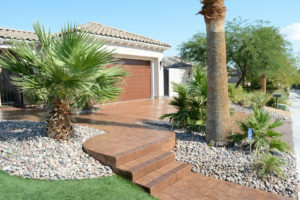 Unlike pavers or natural stones, stamped concrete will not need grout replacement in the future (which prevents weeds from growing through the grout). 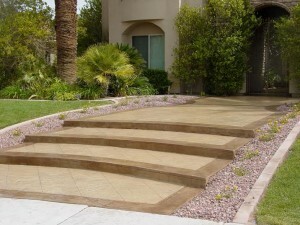 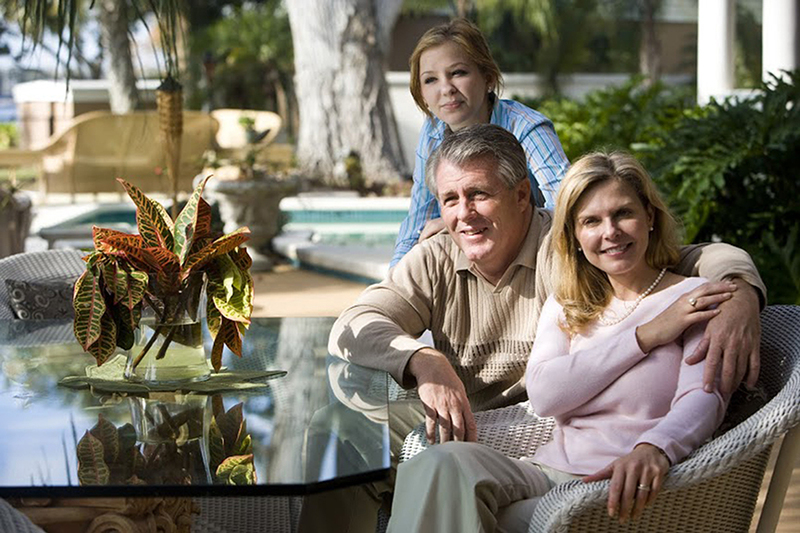 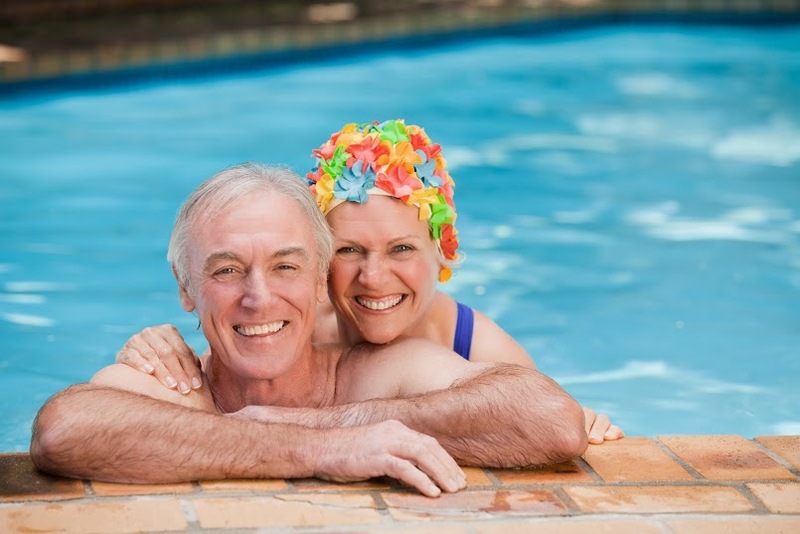 The surface will also remain smooth and unbroken, unlike individual blocks that can dislodge or become uneven overtime. 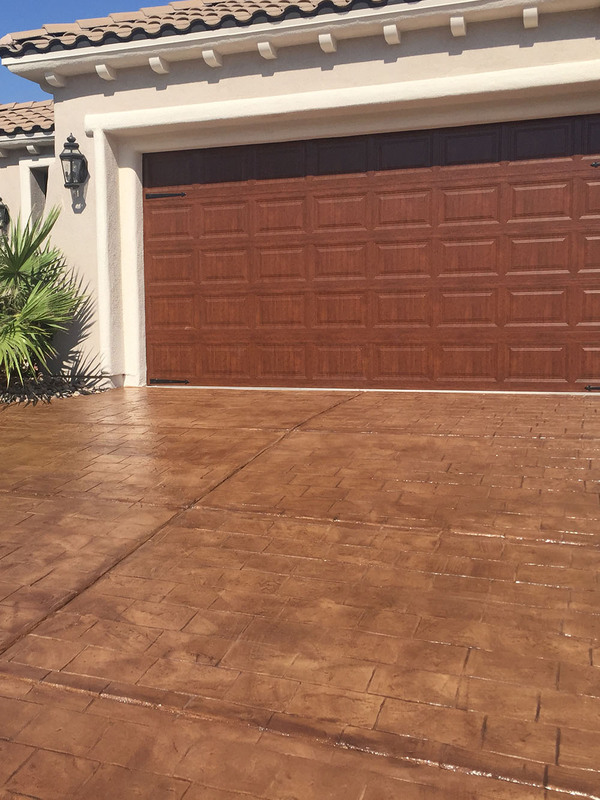 Stamped concrete is great for driveways, back patios, pool decks, ramadas, business offices, retail stores…really, anywhere there is concrete. 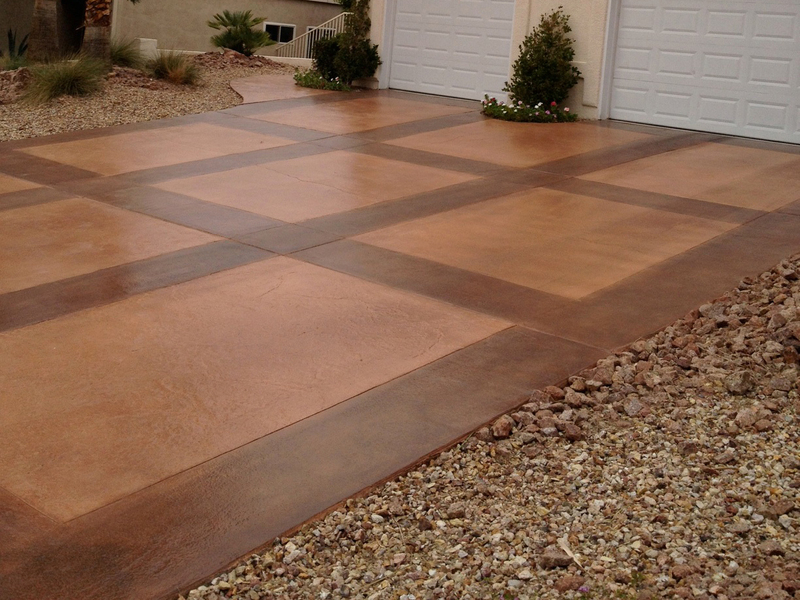 And of course, Concrete Texturing’s superior coloring and craftsmanship ensures that your surface will be gorgeous for many years to come.